a known homosexual was planning an aquarian celebration. "if I plan une fete ici, pourriez-vous jouer only disco seulment?" An all disco set? They didn't think twice. But what to call such a party? and a known Pornologist had an epiphany. "Let it be called... 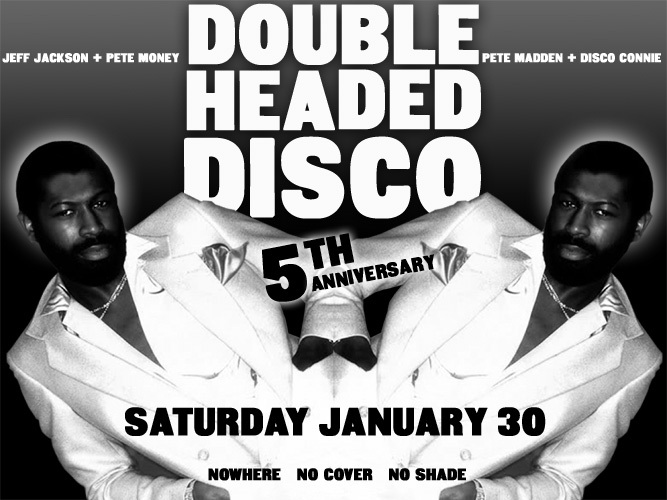 DOUBLE HEADED DISCO!" he exclaimed. a new night was born.